Nick Neels is the Digital Marketing Director at DispatchHealth, a premier provider of mobile and virtual healthcare. Nick specializes in scaling enterprise business solutions for brands ranging from 50 to over 15,000 locations. 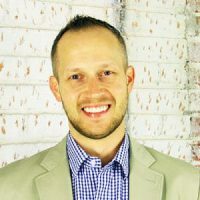 Over the years, Nick has served as a direct liaison to Google for their digital marketing products, has been a yearly contributor to Moz’s Local Search Ranking Factors and taught as Adjunct Professor of Digital Marketing at the Daniels College of Business, University of Denver.